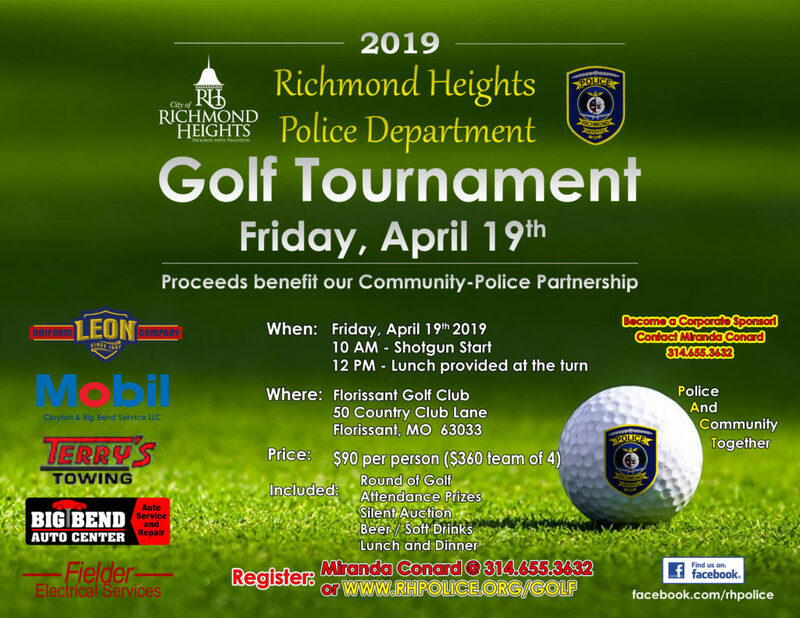 The Richmond Heights Police Department responded to 73 traffic accidents in the month of April, 2017. This is up from the 69 accidents that were handled in April, 2016. For the year, we have responded to 269 accidents. This is 18 less than in 2016. The Richmond Heights Police Department responded to 72 traffic accidents in the month of March, 2017. This is down from the 75 accidents that were handled in March, 2016. 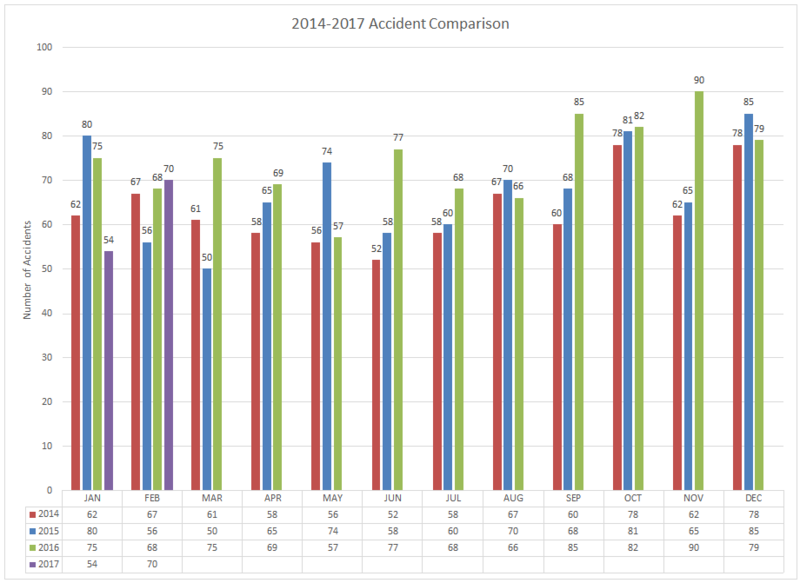 For the year, we have responded to 196 accidents. This is 22 less than in 2016. The Richmond Heights Police Department responded to 70 traffic accidents in the month of February, 2017. 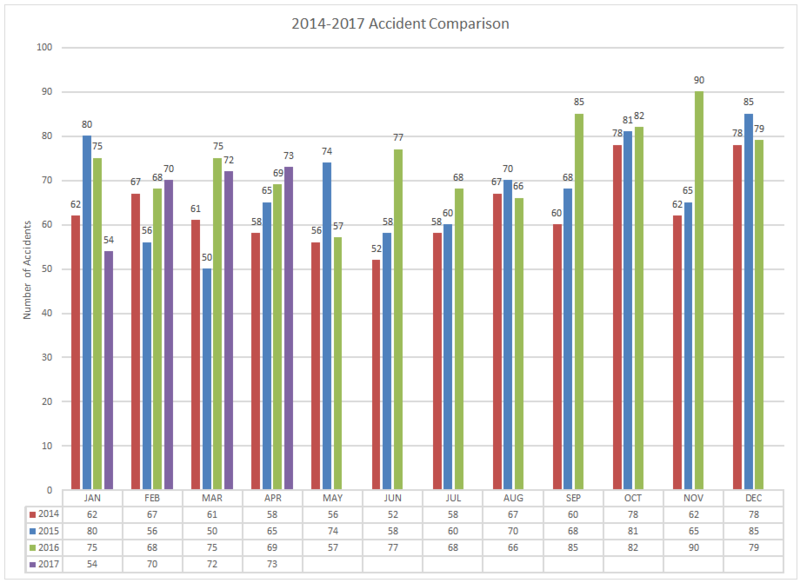 This is up from the 68 accidents that were handled in February, 2016. For the year, we have responded to 124 accidents. This is 19 less than in 2016. The Richmond Heights Police Department responded to 54 traffic accidents in the month of January, 2017. This is down from the 75 accidents that were handled in January, 2016.